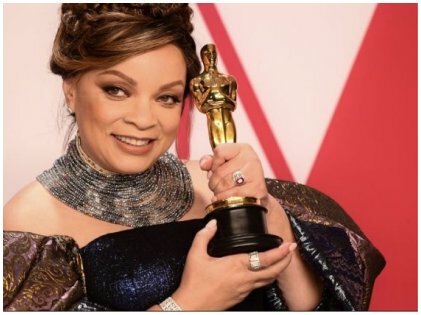 Ruth E. Carter is riding high on the success of her recent Oscar win. She is the costume designer who won an Academy Award this year for designing the costumes for the movie Black Panther. And as March is celebrated as the #Womenshistorymonth, Carter grabbed the opportunity to throw a challenge to her fellow workers in Hollywood. She invited them to post a video of them dancing to the music of their favorite song that reminds them of women empowerment. The main aim here is to show the world that women can do anything and make anything possible. Gaby Union further challenged Tracy Ellis Ross, Jessica Alba, and Chrissy Teigen. On the other hand, Halle Berry posted a video of her dancing to the song “Survivor” by Destiny’s Child. She further added that her song is dedicated to all the female survivors across the globe. Looks like they are all pretty serious about the challenge, and we can’t wait to see if the likes of Reese Witherspoon, Ciara, and Kelly Rowland, among others will take up the challenge or not. This truly is a challenge that is empowering for women around the globe!